Great minds think alike. 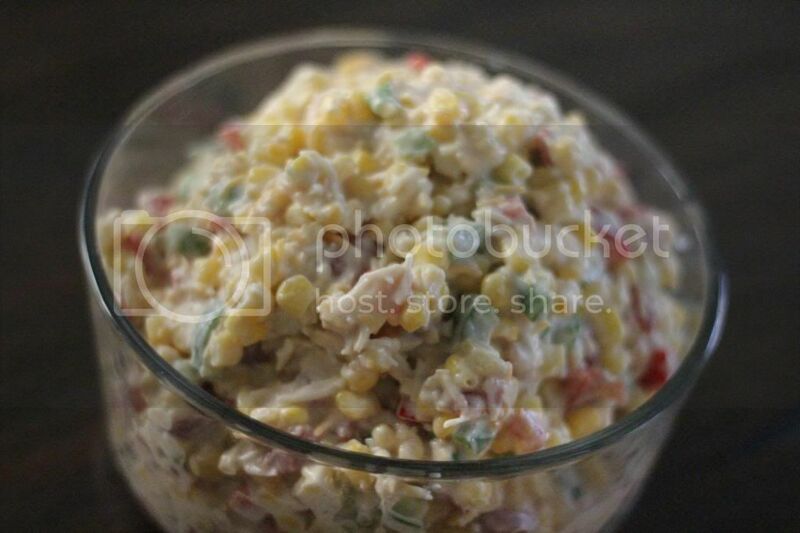 I am making one tomorrow for the Superbowl that's a hot dip. You use Mexican corn which I had no clue even existed. I had it at a birthday party a few weeks ago and it was yummy. Mmmm! This looks like awesome super bowl food! :) It seems so easy! I made this on Thanksgiving, it was a hit! I added a little garlic & onion medley seasoning, and it was delish! It needed a little something, and it was great with it! Thanks for sharing! I'm just like you; any dip on a chip and I'm totally there. Can't wait to make this!! I have made something very similar and it is dee-lish!! Great for tomorrow's Super Bowl! that sounds delish! i wonder if i can do this without using mayo? 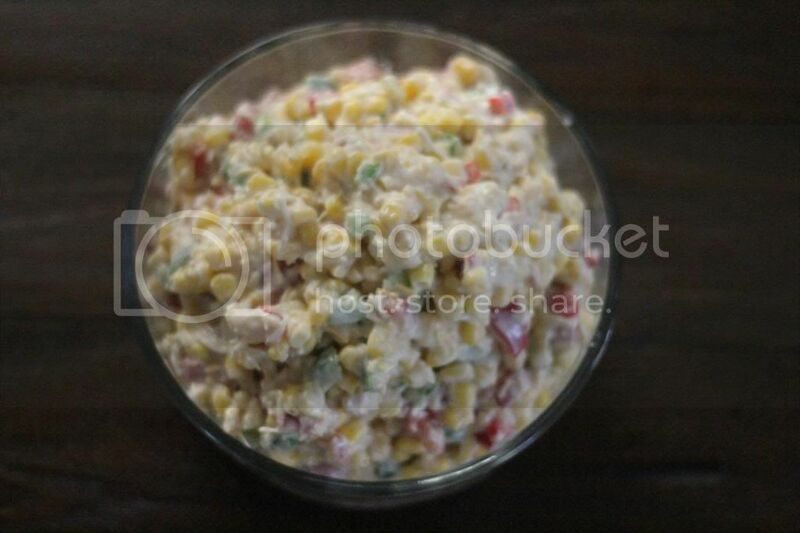 Mmmm I love me some corn...this looks awesome!! Thanks for sharing! Yum! I will be making this soon! How is the mayo with olive oil? This sounds delish! I made a similar dip once, except the base was cream cheese instead of the mayo and sour cream. I added a packet or ranch dressing mix and some chopped black olives too. SO good! I'll definitely try this one too.